Axis is bad at marketing. Recall last month - Axis: "No One Wants To Buy A Camera" and, more generally their 2018 production introductions. But this one is especially good bad. This is foolish. Why would anyone, much less a bank vault, only have a single camera zoomed in to only a small part of the vault? One does not need to be a security expert to understand the value of using a wide angle lens or multiple cameras inside a bank. And why are the security guards just looking at a monitor? 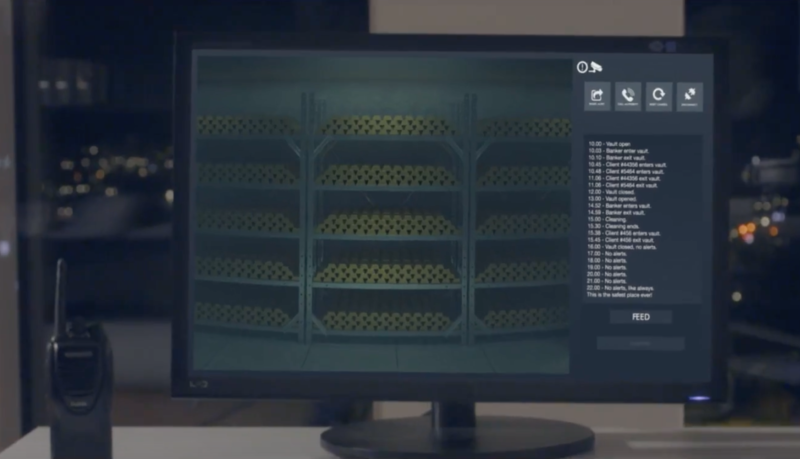 Last month, Axis 'no one wants to buy a camera' story was hyping the power of edge analytics that would detect such things (the inside of a bank vault is a fairly easy and appropriate place to use analytics). Multi-imager panoramics reduce the number of distinct cameras, cables and VMS licenses that need to be used. Fisheye panoramics make it easier to overview an entire area with a single camera. Relative to single-imager cameras, multi-imager panoramics can provide similar detail over a wider coverage area. Relative to PTZs, multi-imager panoramics can ensure recording of a wider area with the tradeoff of lower potential zoom / range covered. And IPVM has covered this extensively including Panoramic Fisheye Camera Shootout - Avigilon, Axis, Dahua, Hanwha, Hikvision, Oncam And Vivotek, Multi-Imager Camera Guide, Repositionable Multi-Imager Camera Guide, Fisheye Panoramic Camera Guide, etc. The value of panoramic cameras are real for many applications but are far more mundane and practical than preventing bank robberies. Comments (36) : PRO Members only. Login. or Join.